Home / Blog • Featured / Weekend round up! Another great weekend of racing from Brendan, starting at Clumber Park Duathlon English Championships on saturday, and finishing on Sunday with the Eastleigh 10km! Thats a lot of quality leg work! Final results were 5th in age group, 25th overall at Clumber and 36:18 posted on sunday 10k on tired legs….All is looking promising for Spain! On sunday, despite trying to convince Simon to join me and Clodie for another uphill race in Winchester, he opted for more sleep and a 10k with Liz in Weymouth. After a hard bike and swim session on sunday, Simon posted a solid 44min, which was only 28 secs off his pb on a hillier course. I am not sure of Liz’s time but she finished 4th female overall, which is fantastic, especially as she has been fighting off a nasty bug for the last few weeks. Clodie and I were not too pleased at the 5:30 start to get to Winchester ready to race at 8am, but we made it in time only to find the queue for registration half a mile up the road! Needless to say the start was delayed! It was a tough course, the run pretty much all off road, and very hilly, on lumpy grass. The bike was much the same, undulating, very narrow roads, and in places would have been more suited to a mountain bike to be honest! However, despite my chain coming off, and having a few delays on the bike with traffic and general bike congestion, I lead for the whole way finishing first female and 5th overall. Clodie put in a solid performance, taking her TT bike out for the first time as well, and finished in 3rd female place. It was a shame there was no prize givings, or even medal for Clodie, however, I believe we will be getting an email of sorts later this week! So, whats next? Team Kelly will be racing in Yeovil half next weekend and Serena will be up North in the junior duathlon champs. 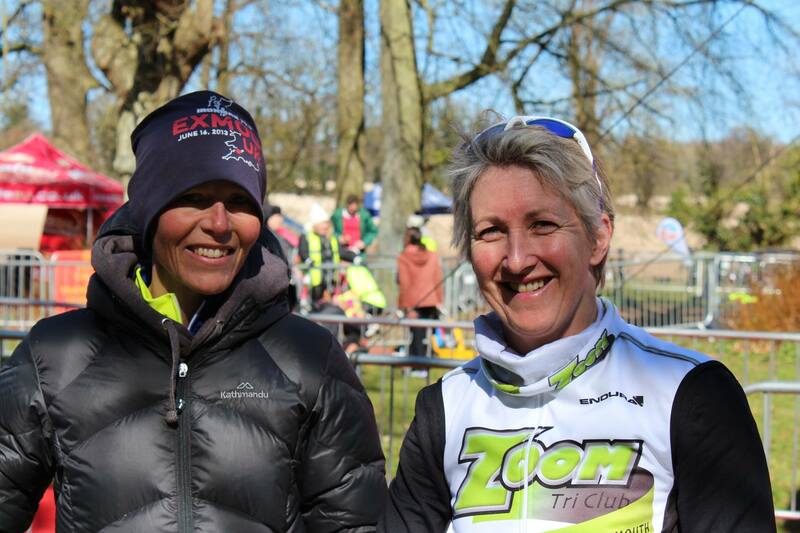 Then once April hits we have Brendan in the European Duathlon Champs in Spain, Im racing in the European Long distance Champs in Horst, Isobel sprinting it with Bustinskins, and lots more! A great start to the season so far…..well done! Great results at Bournemouth half and full marathon!